This week I had the honor and the pleasure of interviewing 14-year-old Army Kid, Gavin Moran and his mom, Crissy Moran. You may remember Gavin, because his teddy bear drive for kids of deployed service members gained national media attention. Most recently, because of his level of emotional resiliency, he was chosen to represent all military kids in Washington, D.C. for Mental Health Day. Gavin was drafted into an Army family at birth and continues to live the military lifestyle in his Army family. Listen to the interview from The Mindset Mechanic Show by clicking on the link below. Gavin speaks candidly about being in the school lockdown at Fort Hood during the shooting rampage, about fears and emotions that come standard with military life, and about what's great in his life. Check out The Mindset Mechanic every week at http://Mindset20.com/radio-show.php. 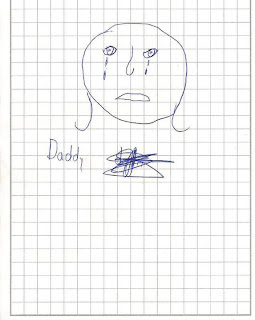 Seven year old Lauren drew this picture after saying goodbye to her father who was leaving on another deployment. 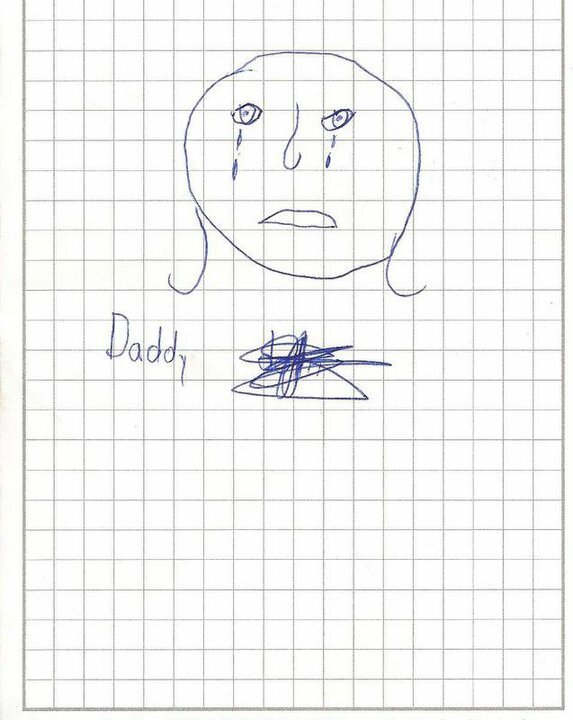 The picture sums up what kids in military families face and how they feel. Thanks to her mom, Jennifer, for sharing this picture!